If you want to build dynamic single-page applications quickly and easily, React is a wonderful solution. Learn how to use it—while building your own React app from scratch—in our comprehensive new course, Practical React Fundamentals. Millions of developers all over the world are beginning to see the power and ease with which you can build front-end web apps with React. So take a little time with Derek Jensen to learn the fundamental concepts that make up React! 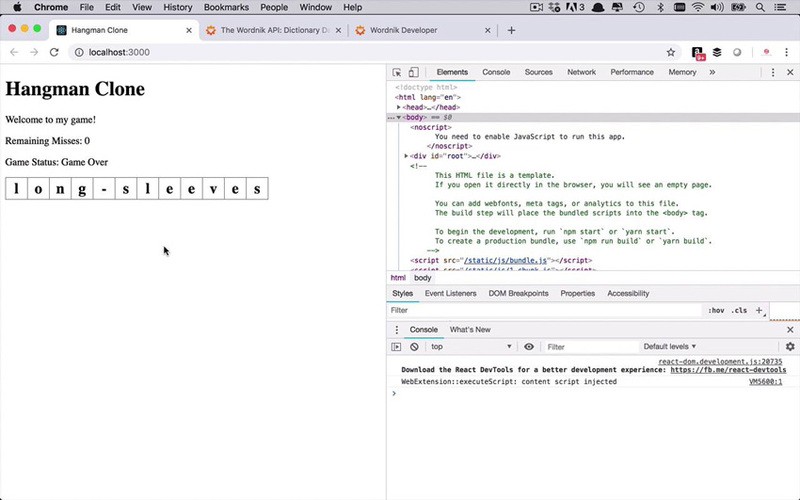 In this course, you'll learn to build a complete web app—a simple hangman clone. You'll learn how to create a new app project, build out all the components, handle states and styles, and work with web and lifecycle events. All this, and maybe even have a little fun while doing it!